We returned again for another year at Chabot College Performing Arts Center in Hayward, CA. So much anticipation and excitement had built up for Urban Paradise 2013. There were new groups that we were very excited to grace our stage, as well as returning favorites that always put together great performances. What an amazing show it was! The energy of the crowd of more than 900 audience members and over 400 performers was electrifying. Each group provided the audience with something different, showing the range and versatility of Hip Hop Dancing. One can truly feel the heart of each dancer that was left on that stage. That night was all about community, bringing together people from all over California and even a group from Canada, to share what we love to do. We can’t forget how well our groups performed: The Company, APT, and Training Ground all were well received by the audience members. A huge thank you to the many people that have contributed their time and expertise in order to put together an amazing show. To Artists In Motion Bay Area and WSPA for supporting our craft and the overall production of the show. To Antoinette who prepared the food for all the performers. To our returning groups who have supported us throughout the years and even more recently: SGBM (San Diego), Press P.L.A.Y. (Sacramento), Boogie Monstarz (Sacremento), Stepboys (Sacramento), CADC (Irvine), Mischief Makers (LA), and GRV (LA). 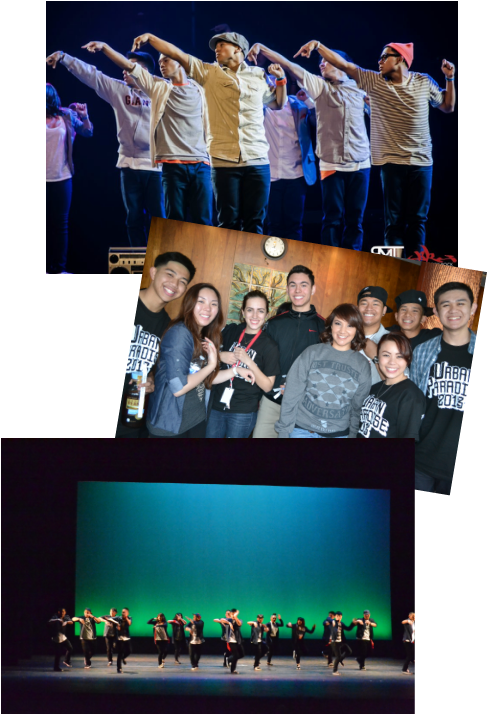 Thank you to the new groups that added energy and depth to UP2013: SIKAT (Winnipeg, MB), Culture Shock LA, Frenemies (San Diego), Entity (LA), and a special project by our former Director Pat Cruz “News For You”. Throughout the years Urban Paradise has been gaining credibility and rapport as being one of the shows to see within our Hip Hop Dance Community. Its audience has expanded from our small community with people now coming from all over just to watch the production. Urban Paradise has grown to be an event anticipated in the Bay Area, and also recognized in the Hip Hop Dance Community. We are always looking to build and grow with each Urban Paradise, expect the next one to be better than the last. We are proud of the success and growth that Urban Paradise has taken, starting from a small theater in Serramonte del Rey to venues like the Palace of Fine Arts and now Chabot College Performing Arts Center. If you were unable to attend, videos can be found on YouTube under “TheCompanyTheCamp”. We hope that you will attend next year, as this has truly been, year after year, a show NOT to miss!